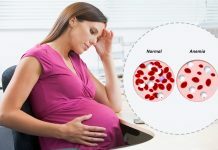 If your doctor says that you should have a glucose test during pregnancy it may be to determine whether you are affected by gestational diabetes or you have glucose intolerance. The test can be performed with or without fasting. It is also possible to have the blood sample drawn either from your fingers or from your veins. It is possible that you will have to drink a special sugar solution that is known as Glucola. Some of the doctors ask their patients to eat a special breakfast, jelly beans or a candy bar. After this the doctor will test for the glucose level of your blood. In the majority of the cases women have a test of this kind during the 28th week of pregnancy. Still, if you have some family history of diabetes or you were affected by the problem during a previous pregnancy it is possible that your doctor will test you at an earlier stage. According to the guidelines, not all women need to have a glucose test while being pregnant. However in the majority of the cases this is a routine test. If your results are of 140 or below, you aren’t considered to be gestational diabetic. If you have results above this level you will have to undergo some other tests. The good news regarding this kind of testing is that there are no kinds of risks associated. The pregnancy glucose test is a noninvasive one that only requires a blood sample from the mother. 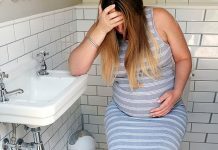 However there are some mothers who are concerned about the effects of the sugar solution on the baby that isn’t used to such high sugar levels. An alternative for the testing is to assume that you are glucose intolerant and take dietary precautions right from the beginning.